Kildare South Fine Gael TD Martin Heydon has said that his proposal to Minister for Transport Shane Ross to extend certain rural transport bus routes to run at later times over weekends would include existing and popular routes from Newbridge to Athy in Kildare and Portarlington to Emo in Co. Laois. 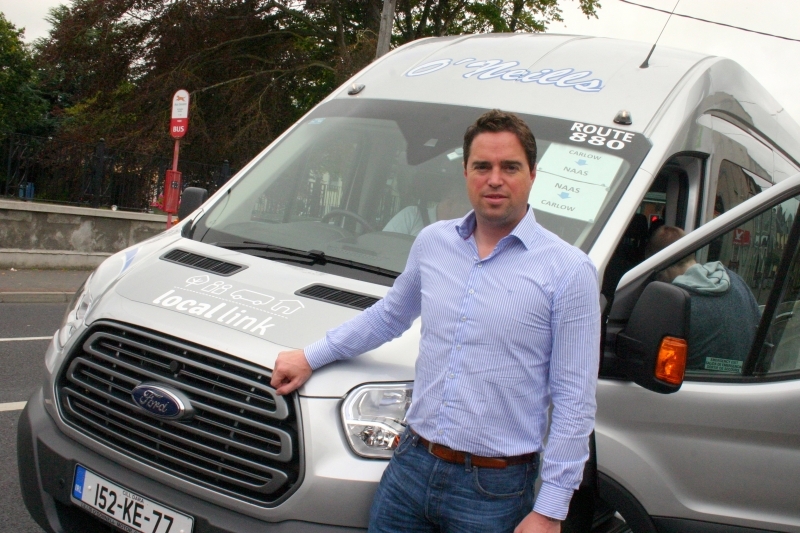 “As Chairman of the Fine Gael Parliamentary Party I have been working on a proposal to extend existing rural bus routes operated by Local Link companies around the Country, in a bid to address the issue of social isolation. The proposal which would run on a pilot basis for a year includes the popular route serving Athy – Newbridge operated by Kildare South Dublin Local Link which started last August. “This route currently operates 3 times daily serving Athy, Kilberry, Kildangan, Nurney, Kildare Village, Kildare Town and Newbridge. Under the proposal the route would now cotinine to run later on Thursdays, Fridays and Saturday evenings with the last departure at 22.40. “One of the advantages of the proposal is that the route is established and has built up a customer base, the capital costs of the bus have already been invested so providing the additional routes would not incur significant capital costs. “Kildare South Dublin Local Link also hope that they could extend their service to incorporate a hackney service for local residents who live close to the route but not on the exact road, to link them in with the service. The attached spreadsheet shows the list of routes that are included in the proposal nationwide including the Athy – Newbridge Route in Co. Kildare and 3 routes in Co. Laois.